As viewers prepare for another painful Sunday without a new episode of Game of Thrones, fans are wondering how they will get through the long break ahead. While many have taken the time to pour over George R.R. Martin’s source material, readers are still anxiously anticipating the long in development sixth installment of the series, The Winds of Winter. In the meantime, why not immerse yourself in a simpler time in Westeros’s history? 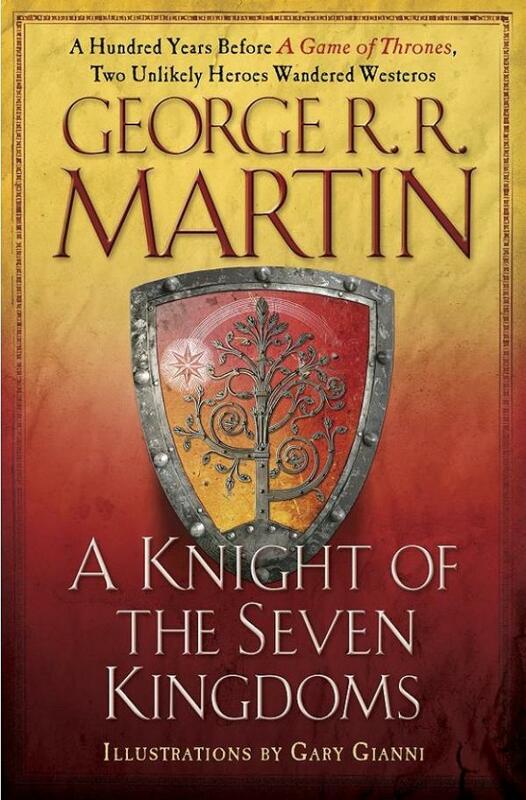 Published in October of 2015, A Knight of the Seven Kingdoms is a collection of three prequel novellas written by Martin between 1998 and 2010. Originally released independently in other short story collections, the three tales The Hedge Knight, The Sworn Sword, and The Mystery Knight are brought together in one book along with a stunning set of illustrations by Gary Gianni. Taking place almost 100 years before the events of A Song of Ice and Fire, A Knight of the Seven Kingdoms chronicles the exploits of Sir Duncan the Tall, a hedge knight wandering the realm in search of noble lords to accept his service. Sir Duncan (or Dunk) is accompanied by his loyal squire, Egg, whose family history complicates his relationship with the knight. While these stories do not feature the characters readers of the novels and viewers of the HBO series have fallen in love with, Dunk and Egg travel across a number of familiar locations from Dorne to Highgarden. 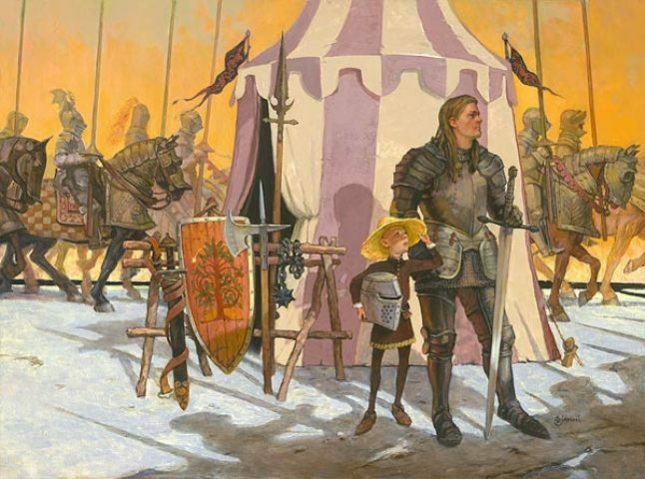 While the exploits of these two travelers don’t match the complexity of A Song of Ice and Fire, (a pivotal conflict in The Sworn Sword revolves around the fair use of a dam during a drought season), readers interested in the history and lore of Westeros will be delighted to uncover new insights about the troubled Targaryen dynasty (the ancestors of fan favorite Mother of Dragons Daenerys) as Dunk inadvertently finds himself in the middle of a bitter feud between Targaryen princes during a royal tournament. Martin even gets to flex some comic muscles through Dunk and Egg’s clever back and forth with each other, a distinct contrast from the usual dour and mournful tone of his prose. Martin’s writing remains as sharp and compulsively readable as ever while Gianni’s illustrations perfectly capture the action of the story, particularly during Dunk’s frequent visions and dreams. While it does not have the epic scope of A Song of Ice and Fire, A Knight of the Seven Kingdoms (coming in at less than 400 pages) is a short, but ever entertaining romp through a familiar world. Which is your favorite novel by George R.R. Martin? Next articleReading To Your Bump: When And How, And What Are The Best Books To Read? I am a creative freelance writer and book enthusiast. Thanks for taking the time to read my thoughts and musings on all things literature.